100% Satisfaction Guarantee If you’re not Completely Satisfied with our work, and are willing to refer us to your friends and neighbors, we will come back out for FREE until you are 100% Satisfied! A fast growing community like St Charles is not only abundantly exquisite with natural beauty, luscious waterways and trees, but encompasses other important aspects for homeowners, such as safety, security and plenty to do for you and your family. If you’re one of the many fulfilled homeowners who live in the St Charles area, you understand the importance of having a beautifully kept lawn and reliable lawn and garden service you can trust. Lawn Masters lawn care in St Charles MO is a progressive lawn care company who is just as involved in seeing the St Charles community continue to prosper within our region as you are. We couple the latest advances in equipment, techniques and garden & lawn care products with the expertise of our lawn technicians. We carry that same expertise in business to you through our work and the lawn care services we provide that help your garden remain healthy, sparkling and vibrant. In order for plants, shrubs, trees and lawns to remain healthy and thriving year round, they need routine monitoring. When signs of rot, disease or insect infestation begin to plague your foliage, immediate detection will bring early treatment, and pests are controlled and eliminated. The St Charles MO lawn maintenance service you use should be top-notch and equipped in keeping abreast of all your gardening hot spots and needs. Lawn Masters’ careful attention to these details and commitment in targeting potential problems before they become costly has won the trust of our valued customers. Seeing your garden bloom and thrive is the goal of all the lawn care technicians and staff at Lawn Masters. Call us today and we’ll do a free garden and lawn inspection and provide you with an estimate of our services. Your garden is only as lush and vibrant as the lawn care team who care for it. 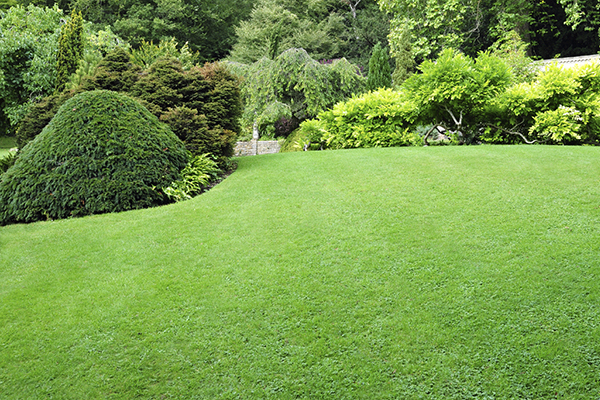 With Lawn Masters’ help, we’ll keep your garden exquisite. I have used Lawn Masters for years and only recently moved to a community that offers it's own lawn care. Otherwise, I would still be a satisfied customer! Dependable, courteous service from the top down. I would recommend this company to anyone... and I have! I started using Lawn Masters when my mower broke down several years ago. They have been prompt, professional and do excellent work. I now use their landscaping services and am very satisfied. I have renewed Lawn Masters services every year and never bought a replacement mower! We've used Lawn Masters for over five years at two different houses. They are always on time and provide quality services. We use them to maintain our lawn as well as mulching our garden beds. Our yard always looks amazing when they've been by! We service the West County, St Louis, and St Charles Areas. Not sure if we cover you? Simply give us a call!